April 26, 1951 -- General MacArthur ... "These men were mine." 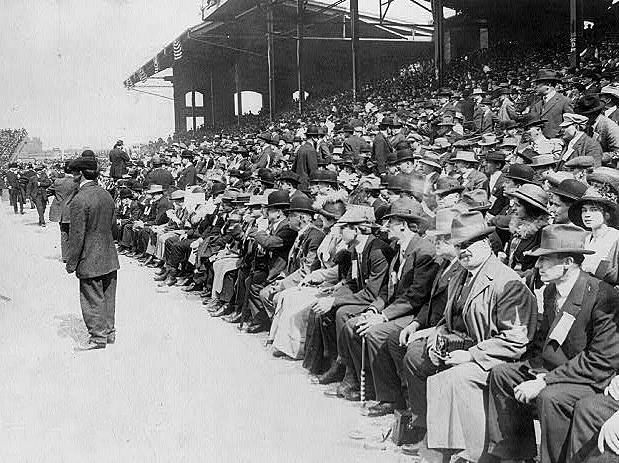 April 26, 1925 -- The biggest crowd ever to see a baseball game in the city goes home disappointed as 44,000 fans watch the White Sox lose by forfeit, 9-0, to Cleveland. With two outs in the bottom of the ninth inning and the Sox down, 7-2, third baseman Willie Kamm comes to bat and grounds into a routine shortstop-to-first play to end the game. At least that is what 8,000 fans think who rush onto the field. Except . . . the Cleveland first basemen, a recent University of Michigan graduate named Ray Knode, can't find first base to complete the play. 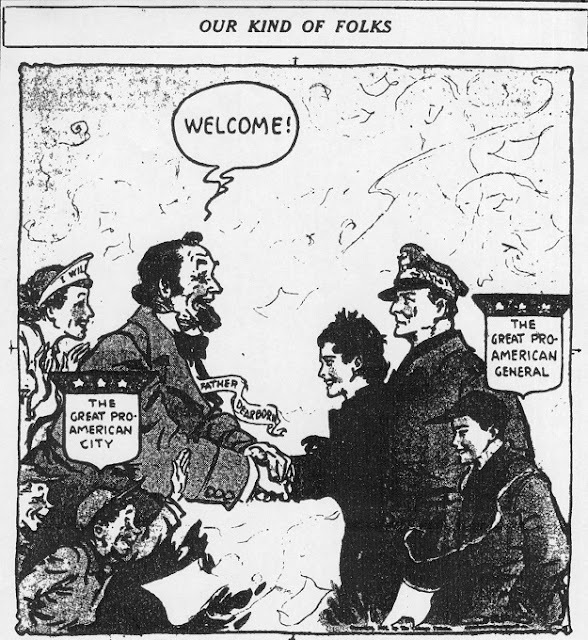 As the Chicago Daily Tribune writer James Crusinberry describes the play, ". . . evidently Mr. Knode failed to learn while at Michigan just exactly where the bag is located at the first corner. After catching the ball, and with thousands of fans rushing upon the field, he began hunting the bag. He stabbed with one foot here and with another foot there and then rolled in the earth and frantically searched for the bag. He couldn't find it and by that time Willie Kamm had crossed it and there was nothing left for Umpire Billy Evans, stationed at that corner, to do but pronounce Mr. Kamm safe." Despite the fact that there are 135 policeman on the field, order can not be restored. In the throng the umpires can't even locate one another. Finally, the head umpire, Clarence Rowland, declares the game, which the Sox undoubtedly would have lost anyway, a forfeit. A significant number of fans leaving the ballpark that afternoon probably never even knew that was the final result.